For intermediate students. Based around what time activities take place at during the day. The present printable, downloadable handout is a great resource for elementary school students at Intermediate (B1) level. 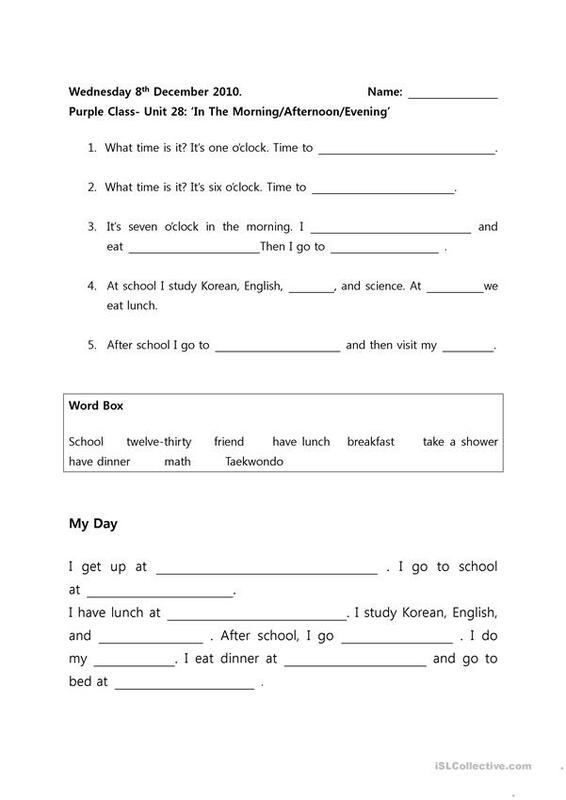 It is valuable for teaching Present simple tense in English, and is excellent for working on your students' Writing skills. It centers around the topic and words of Actions. Arebours123 is from/lives in United States and has been a member of iSLCollective since 2010-12-09 06:14:08. Arebours123 last logged in on 2010-12-09 06:14:10, and has shared 1 resources on iSLCollective so far.